Gene Cook / Owner Since 1971, Gene has been involved in the development, leasing, selling and construction of real estate in the Gallatin Valley. 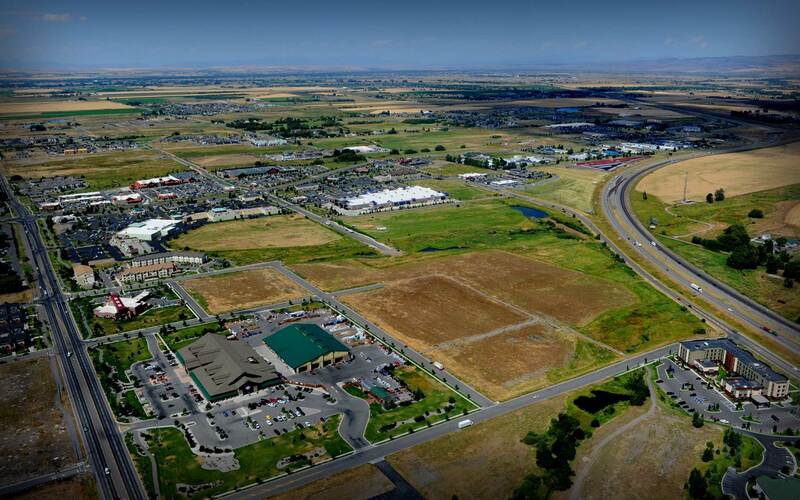 Since 1971, Gene has been involved in the development, leasing, selling and construction of real estate in the Gallatin Valley. Over the years he has earned a reputation of a great developer and partner. Gene continues to work daily on his long lasting partnerships and developments. Kevin became directly involved in the family business in 2002 after a career in the engineering and construction industry. Kevin handles project development and management as well as day to day operations and oversight of the family of partnerships. For the past twelve years Tom has been working in commercial real estate sales and leasing and investments in the Bozeman area. He provides a wide scope of services related to commercial real estate, working with buyers, sellers, tenants and landlords to maximize their investments in real estate. Since 2007 Kevin have been involved in commercial real estate sales/leasing and commercial property management in the Bozeman area with Gene Cook Real Estate. Also, Kevin have been involved in development planning, project management and office management. Tricia has been a licensed realtor since 2012, primarily focused on residential sales before joining Gene Cook Real Estate in 2016. She now assists with commercial listings and sales, as well as providing marketing and organizational support to the brokerage. Karl handles project development and management as well as day to day operations and oversight of the family of partnerships. He graduated from MSU with a degree in Construction Engineering Technology and has been exposed to land development, construction, and real estate sales and leasing for a lifetime. He executed a wide array of projects from residential homes, government buildings, and tenant improvements, as well residential and commercial developments. Born and raised in Bozeman, Sunny started her career in real estate in 2005 as an appraiser and became a designated member of the Appraisal Institute in 2014. She joined the Gene Cook Real Estate office in 2016 expanding her real estate services to include sales and leasing. She has served as Chairman of the City of Bozeman Zoning Commission, a past President of the City of Bozeman Planning Board and the current Chairman of Education for the Montana Chapter of the Appraisal Institute. Established in 1971, Gene Cook Real Estate has served the real estate needs of the residents and investors of Bozeman, Belgrade, Big Sky and West Yellowstone, Montana, specializing in real estate development. We have used a strategy featuring buy and hold investing and traditional values to create a successful atmosphere for our clients, tenants and investors. We currently manage over 75 commercial properties in Bozeman, Belgrade, Big Sky and Four Corners. Our extensive coverage of facilities allows us to fulfill a wide variety of needs for our tenants. Whether you need retail, office or warehouse space, we have the location that can work for your business. Please feel free to contact us with questions or stop by our offices at 1276 North 15th Avenue, Ste 103 in Bozeman, Montana. We look forward to seeing you soon! "Since 1971, Gene Cook Real Estate has served the real estate needs of the communities of Montana’s Gallatin Valley, including Bozeman, Belgrade, Four Corners, Three Forks, and Manhattan." "We specialize in real estate development and commercial sales & leasing in southwest Montana." With over 70 years of experience in real estate development and investing in Bozeman, MT and southwestern Montana, we are the local leader for your commercial real estate needs. Whether you are looking at leasing or buying office, retail, warehouse or land, the Gene Cook Real Estate team has the knowledge and abilities to handle all your commercial real estate transactions. Gene Cook Real Estate can assist in buying or selling your dream home or parcel in the Gallatin Valley… use our network of agents to make your dreams a reality. With a diverse network in the Bozeman area, we are able to service the needs of both national and local Lessees and Lessors. Since 1990, Gene Cook Real Estate had been involved in 5 Major Subdivisions, 10 Commercial Complexes, and 5 Built to suit buildings. We specialize in real estate development and commercial sales & leasing in southwest Montana.